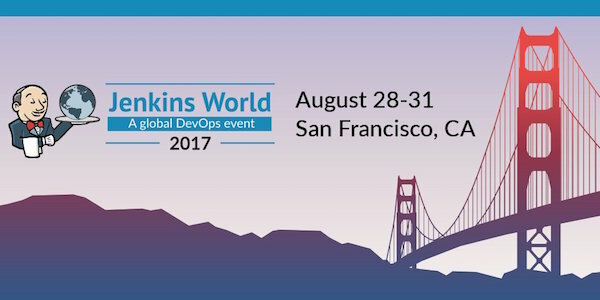 Posts tagged " Jenkins "
Join the Code Partners team at DevOps World and Jenkins World 2018 in San Francisco in September. It’s shaping up to be a cracking week of workshops and sessions covering the latest in software automation, DevOps practices, Continuous Delivery, Container Orchestration, Testing and more. We had a great (albeit exhausting) time last year and with this years expanded scope, it’s looking like it’ll be even better. 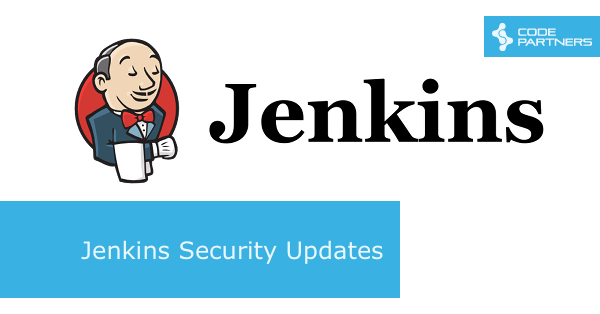 There is a new Security Advisory that covers issues in several Jenkins plugins, including the Kubernetes Plugin, the Confluence Publisher Plugin, the SSH Agent Plugin and several more. Descriptions of the issues and how they have been addressed in each plugin are included. Check out the advisory to see if any issues affect plugins you are relying on. My Jenkins job was set to trigger a build automatically from a simple GitHub webhook, but the job didn’t build when code changes were pushed to GitHub. Was the problem in Jenkins, GitHub, or something else? 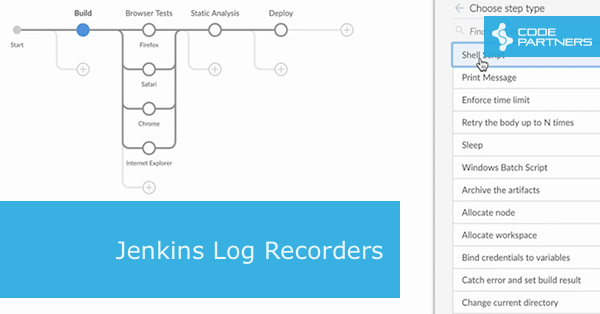 I investigated using Jenkins log recorders. This was the final day of Jenkins World and at the closing keynote they confirmed that the recordings of all the sessions will be available soon. We’ll post a link as soon as they go up. Oh, and I totally forgot to mention the awesome session on DevOptics Deliver that Karan Malhi, the DevOptics Deliver PM gave. Definitely worth watching on the replays, as he goes deeper into what problems they are trying to solve, gives a longer demo and also gives some insight into how it is implemented. 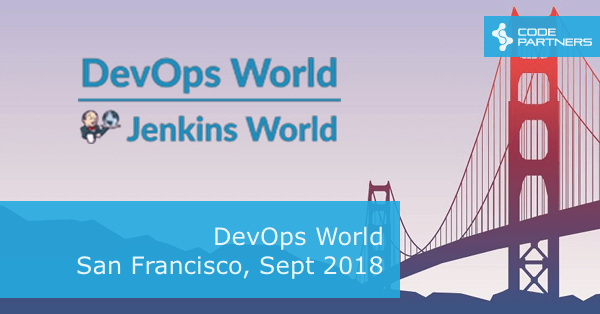 A few of the team and I have travelled to the San Francisco for Jenkins World and after a long day 1 of the conference, we recorded a quick wrap-up of some of our highlights. We’re seriously suffering from jetlag and too much coffee, but if you weren’t able to make it to Jenkins World this year, hopefully this will give you a taste of some of the announcements and sessions. I believe the sessions are being recorded, so at some stage they should come online. Check back tomorrow for a Day 2 Wrap-up. I’ve been trying out Enterprise Jenkins on Azure. The inspiration was a webinar, Achieving Continuous Delivery on Microsoft Azure, about the “four quadrants of DevOps maturity”, and how to address the needs of different teams in the delivery pipeline using tools from Azure and Enterprise Jenkins. The webinar includes a demo of a cloud-based Jenkins Pipeline job, and the source code is freely available. 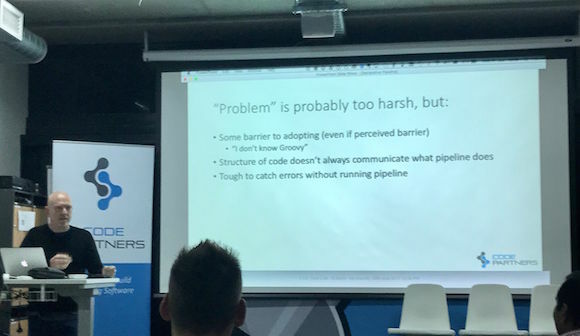 Code Partners hosted the Sydney Jenkins Meetup again this month, and this time it was my turn to present. I’ve been exploring the new Declarative Pipeline support recently for one of our projects so I wanted to give everyone an overview, how they differ from Scripted Pipelines, and share some of the shortcuts I’d found for building and debugging them. Declarative Pipelines are one of the newer features introduced to Jenkins, which allow you to write Pipelines-as-Code without having to use Groovy. 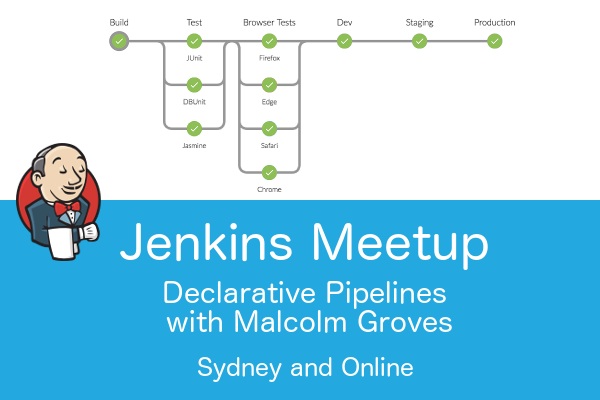 In this demo-based session, Malcolm Groves will introduce Declarative Pipelines, covering the syntax and sections, before building up more stages and steps, adding error handling, branching, and more. He’ll also demonstrate some of the additional tools you can use to shorten the development and testing of your Pipelines. No prior Pipeline knowledge required! If you’re in Sydney, come along for a chat and some pizza. If you’re not in Sydney, we’ll be streaming it online.